Most Latter-day Saints have always assumed that 2 Nephi 27 is a more detailed, more accurate, and more ancient form of Isaiah 29. Many LDS scholars have, for a number of years, challenged that view, and argued that 2 Nephi 27 is Nephi’s own prophecy using some of Isaiah’s words. Firstly, Nephi’s habit of likening the scriptures unto himself offers no support for this thesis, since neither the learned nor unlearned man refer to him or anyone else in his spatial or temporal locality. If anyone was likening the scriptures unto himself, it was Joseph Smith. Secondly, if Nephi can assign unprecedented new meaning to scripture, then why can’t Joseph? What purpose does the middle-man serve? Thirdly, the embellishment in 2 Nephi 27 is bracketed by verses 10 and 13 in Isaiah 29 and the entire chapter proceeds in a single unbroken voice (there is no, “And now I, Nephi, do speak somewhat concerning the words of Isaiah…”). Fourthly, since the Brass Plates served as the basic scriptures of the Nephite nation, and were passed down by all the major prophets from Nephi to Mormon, any alteration of the words of Isaiah could not have gone unnoticed; i.e., metal engravings are not easily erased. Fifthly, Joseph Smith never attributed the extra verses to Nephi. In all of his writings, translations and oral communications he credited the prophesy to Isaiah. If the extra verses are Nephi’s, then we must conclude not only that Joseph was confused about their author but also that the Lord deliberately misled him in translating the Bible. Frankly, I do not find these arguments convincing in the least bit. Allow me to break this down and elaborate my reasons. The first objection raised is that Nephi can’t be “likening” this unto himself simply because the people involved (the learned and unlearned man) are neither Nephi, nor any of his contemporaries. My second objection is that words do not necessarily have to be personally “likened” to one’s own personal situation in order to be reused and reinterpreted. Even if we buy the argument that 2 Nephi 27 has no personal significance to Nephi, that doesn’t mean that Nephi couldn’t still “liken” Isaiah’s words to articulate what he saw in a vision. Nephi not only endorses “likening” unto one’s own self, but also encourages one to “liken” the scriptures “unto all men” (2 Nephi 11:8). There is no reason why a likening has to be personal. The second objection is that if prophets can just totally reinterpret scripture, then there is no need for Nephi as the “middle man” to this process because then Joseph Smith, as a prophet, could just do it. One thing needs to be made completely clear: 2 Nephi 27 does not assign an unprecedented new meaning to Isaiah 29. Isaiah 29 is still a prophecy about the Jews. Rather, it produces an entirely new scripture, new prophecy, which uses (or “likens”) some of the words in Isaiah 29. Second, there is no reason why Joseph Smith could not also do this, it is just that Nephi happened to live 2400 years before Joseph Smith, so he kind of beat him to the punch. The critic here seems to be imagining that Nephi was just made up as a “middle man” for the purpose of reinterpreting scripture. Such a notion presupposes that the Book of Mormon is false, which is begging the question. The Text is Never Broken with the Announcement of Isaiah Quotations. The third objection is that the “embellishments” are packed in between the Isaiah verses with no break to announce when Isaiah is being quoted. I’m frankly not sure what his argument is supposed to mean here. Is he saying that if 2 Nephi 27 had been substantially different from Isaiah 29 as it appeared on the Brass Plates then someone should have said something in the Book of Mormon? I honestly don’t know what he is getting at here. Nonetheless, the point is moot because, again, Nephi is not claiming to be quoting Isaiah, but rather he is offering his own prophecy, using the words of Isaiah 29. This type of prophetic midrash was common among the ancient Jews, and Nephi’s people would have recognized it as such. They would not have confused his prophecy with Isaiah’s. Not surprisingly, however, they continued to liken Isaiah 29 to themselves in the same mold as Nephi had throughout their history. This argument only holds any force if you assume that prophets are prefect and infallible. If you don’t believe that (which you shouldn’t, since Joseph Smith himself taught that they are not, and openly admitted that he was imperfect), then there is no problem believing that Joseph was confused. 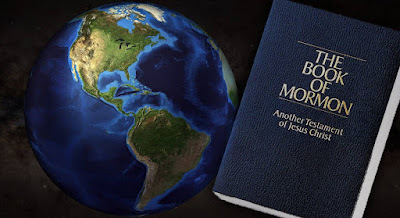 In fact, since he played a role in the fulfilling of some of the events of Nephi’s prophecy before Nephi’s prophecy had been translated; it is not surprising that he connected those events to Isaiah 29 instead. Nonetheless, a careful reading reveals that some of Nephi’s re-wordings of Isaiah are not copied into the JST, but rather the original wording and original meaning was maintained for some portions. Thus, we see that Joseph Smith regarded Isaiah 29 and 2 Nephi 27 as distinct prophecies. As to why any of 2 Nephi 27 is in JST Isaiah 29, it seems that with the JST in this chapter, Joseph Smith is providing a midrash of his own, taking portions of Isaiah 29 and 2 Nephi 27 and creating a synthesis which can then be “likened” to the latter-days. And why shouldn’t he? After all, as the critic points out, if Nephi can do it, then so can Joseph Smith. It seems only appropriate that Joseph Smith would makes some adaptations applying things more to his latter-day audience (what good is a prophet that can only tell you what the Bible meant to those who have already died?). While those who insist that the JST must be restorations of the original text might find this an inadequate response, more careful study of the JST illustrates that there were also other reasons for some of the changes Joseph made, and those included expounding and “likening.” Thus, there is no reason to conclude that the Lord had “deliberately misled” Joseph in the Biblical translation. None of the arguments advanced by this critic are persuasive, and in fact I find them to be rather naïve. Anyone who has read through Robert A. Cloward’s essay (see notes below) will see that these “problems” are actually created by this critic, not Cloward’s (or any other scholars) interpretation. Ironically, this critic references and quotes from the very same essay. If he had read it, why didn’t he actually address the arguments made by Cloward, rather than advance these straw men “problems”? My hunch is he didn’t actually read it, but rather used a secondary source. Sloppy research leads to bad, sloppy arguments. In the end, the argument advanced by this critic falls short under scrutiny. I personally see no problems with understanding the two chapters (Isaiah 29 and 2 Nephi 27) as entirely different prophecies. “Confounding the Wise,” posted April 23, 2011 at Scrutable Scriptures: What they don’t teach you in Sunday School. There is considerable historical commentary preceding this identification of the so-called “problems.” I have neither the time nor the interest to tackle his version of the history at this point. See Cloward, “Isaiah 29 and the Book of Mormon,” for a full explanation and examination of Isaiah 29 and Nephi’s prophecy in 2 Nephi 25-30. In fact, some argue that Joseph Smith did when he provided the JST of Isaiah 29. See Cloward, “Isaiah 29 and the Book of Mormon,” pg. 227-233. See Michael G. Reed, “Abanes’ Revised History,” FARMS Review 16/1 (2004), pg. 104 for several examples. See Cloward, “Isaiah 29 and the Book of Mormon,” pg. 232-233; for the full discussion that leads to the four conclusions there see pg. 227-233. Our critic, when introducing the JST, writes, “This effort was necessary ‘to restore truths to the Bible text that had become lost or changed since the original words were written’ and to recover ‘certain truths that the original authors had once recorded’.” He seems to feel that this removes the possibility that the JST could be anything besides a “restoration” of the original text. However, just because the restoration of the text was a stated purpose for the project does not mean there cannot be others reasons as well. Also, notice both quotes state that they are restoring “truths” not necessarily “words” or “text.” The restored “truths” can be added without necessarily using words that were part of the original text. See, “Mormonism and the Bible/Joseph Smith Translation/As a restoration of the original Bible text,” at FAIR Wiki for more on the JST. Cloward’s work is referenced in note 16 of “Confounding the Wise.” The reference links to a review of Isaiah in the Book of Mormon published by BYU Studies and made available online. That review includes the portion of Cloward’s essay which this critic quotes (which is out of context, by the way). I suspect that this critic never actually read Cloward’s essay, but rather read this review, which would explain why he got the context wrong – it is slightly out of context in the review. It would also explain his failure to grapple with Cloward’s arguments. Agree with what you write above. In point of fact, we can know that Nephi wasn't quoting Isaiah at that point, and that the entire text of that section of the Book of Mormon is his own prophecy can be seen by a careful read of the Book of Mormon itself. Unfortunately, modern punctuation from later editions has obscured this even further. Nephi begins the block of text of his own prophecy in 2 Nephi 25, and mentions that fact in 25:5 and 25:7. He continued in the same vein in 25:10-11. He continues to mention that it is his prophecy in 26:14. After the whole of chapter 27, Nephi then opens up chapter 28 with a statement that what he had spoken was by the Spirit ("as the Spirit hath constrained me") and continues his words to the same effect as before. He continues as before and it isn't until 2 Nephi 31:1 that he ends his prophesying to his brothers and others. As you already are aware, the passage was not quoted from the plates of brass but came from Nephi. I don't know why the passages from 2 Nephi were inserted into the JST but we do know from the Book of Mormon itself that Isaiah wasn't the author of the material and that it was Nephi himself.